This Thursday and Friday, there will be one of the best annual meteor showers you or your family can watch – the Perseids. 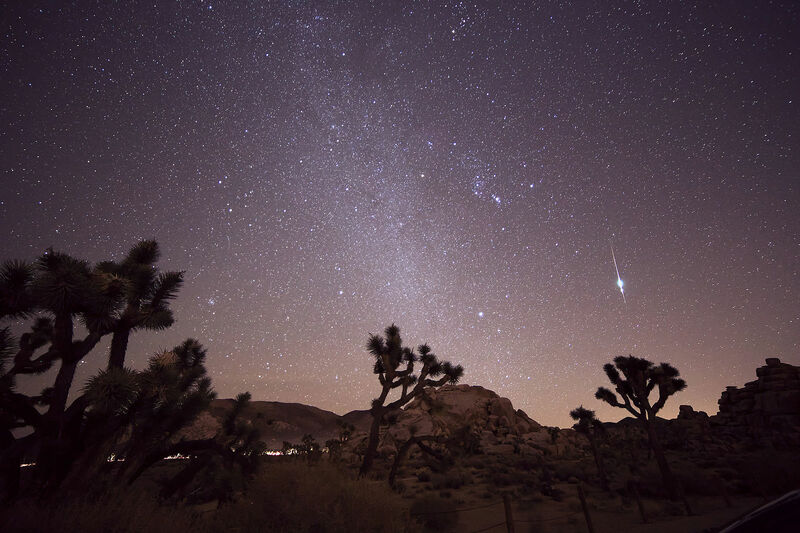 And some experts are even predicting that there might be a meteor “outburst” this year – where the number of shooting stars increases beyond the usual rates. The best night is the evening of Thursday, Aug. 11 and morning of Friday, Aug. 12th, although there could be significantly more meteors in the sky on the night before and the night after too.Meteors or “shooting stars” (which have nothing to do with stars) are pieces of cosmic dust and dirt hitting the Earth’s atmosphere at high speed and making a flash of light. These flashes could happen anywhere in the sky, so it’s best to view the shower from a dark, wide-open place. See the list at the end for viewing suggestions. The Perseid meteors are cosmic “garbage” left over from a regularly returning comet, called Swift-Tuttle (after the two astronomers who first discovered it). The comet itself returns to the inner solar system every 130 years or so; it was last here in 1992. During each pass, it leaves dirt and dust behind and it is this series of long dirt and dust streams that we encounter every August. Some scientists who study comets and meteors are predicting that we might briefly encounter an especially crowded part of the debris stream this time. Each flash you see is a bit of material from the comet hitting the Earth’s atmosphere and getting heated up (and heating up the air around it) as it speeds through our thick atmosphere. Both the superheated dust and dirt and the heated air contribute to the visible light we observe. Since comets are left-overs from the early days of our solar system, you can tell yourself (or your kids) that each flash of light is the “last gasp” of a bit of cosmic material that formed some 5 billion years ago. Take someone with you with whom you like to spend time in the dark! Andrew Fraknoi is chair of the astronomy department at Foothill College near San Francisco and senior educator at the Astronomical Society of the Pacific. He is a fellow of CSI, specializing in debunking pseudoscience connected with astronomy. Asteroid 4859 was named Asteroid Fraknoi by the International Astronomical Union to recognize his contributions to the public understanding of astronomy, but he is eager to reassure readers that his is an extremely boring main-belt asteroid that is in no danger of hitting Earth.